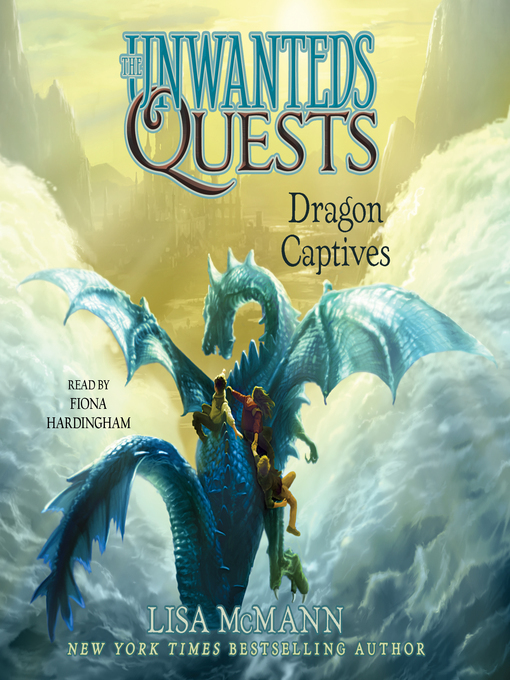 The item Dragon captives : The Unwanteds Quests Series, Book 1., Lisa McMann, (eaudio) represents a specific, individual, material embodiment of a distinct intellectual or artistic creation found in Charlotte Mecklenburg Library. Identical twins Fifer and Thisbe Stowe have amazing yet uncontrollable magical abilities. They're naturally more gifted than even their brother, Alex, the head mage of Artim, could hope to be. But when they accidentally use their magic in the jungle of Artim to strike down a beloved creature, Alex is furious, and threatens to lock them away until they can learn to control their power. The threat is soon forgotten, though, when Hux, the ice blue dragon, comes to Artim bearing the horrible news that his siblings have been enslaved by the notoriously evil Revinir, ruler of the dragon land. Seeking a chance to right their wrong and escape their brother's wrath, Thisbe, Fifer, and their friend Seth sneak away to rescue the dragons from grave peril. Will their untrained abilities be enough to save the dragons--and themselves--when they come face-to-face with the Revinir? Dragon captives : The Unwanteds Quests Series, Book 1. The Unwanteds Quests Series, Book 1.